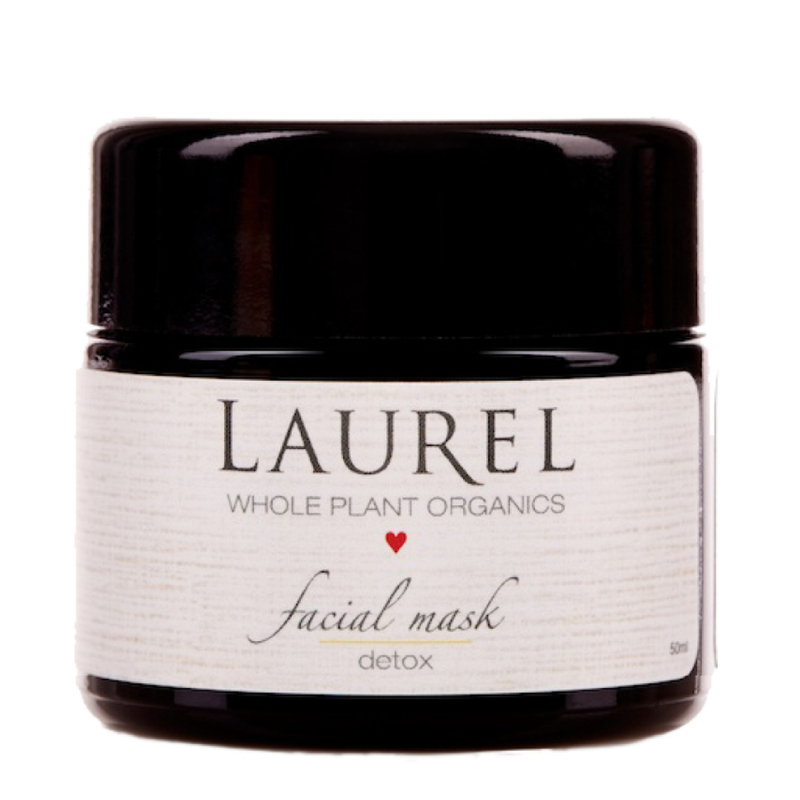 The Detox Facial Mask by Laurel Whole Plant Organics offers a soothing and balancing feel to oily, breakout prone and congested skin. This botanical, balancing facial mask features 14 beneficial ingredients. French green clay gives a feeling of detoxification, while plants of chamomile, aloe and marshmallow work to soothe signs of inflammation. Simply add a bit of water to activate this dry powder and use it as a weekly mask or daily spot treatment to diminish the appearance of breakouts and clogged pores. Moisten face and hands. Apply 1 tsp or less to palm, and trickle a bit of water in with your fingertips. Work into a paste and apply gently to face and neck. Leave on for 10-15 minutes, then rinse. We recommend using a brush and bowl for easier mask application. 1-2 drops of serum can be added to mask mixture if you would rather the mask not fully dry on the skin.